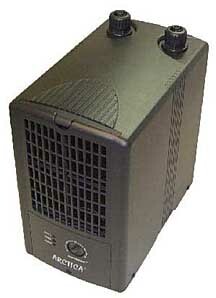 The ideal chillers for small aquariums. The JBJ Mini and Nano Chiller. Keep your reef tank cool in the summer. Ideal for the Nano Cube aquariums and other small fish tanks. 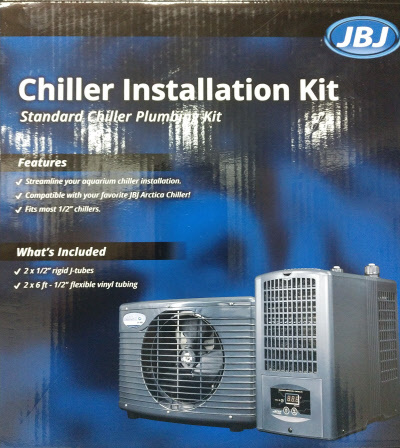 It's getting hot in here so keep your tank cool with the JBJ Arctica Aquarium Chillers. JBJ Aquarium Products is the leader in aquatic innovations. From its Arctica-Titanium chillers to its K-2 Viper lights, the company offers a wide variety of products to meet the needs of novice hobbyists as well as reef enthusiasts. The most advanced aquarium cooler is only offered by JBJ. 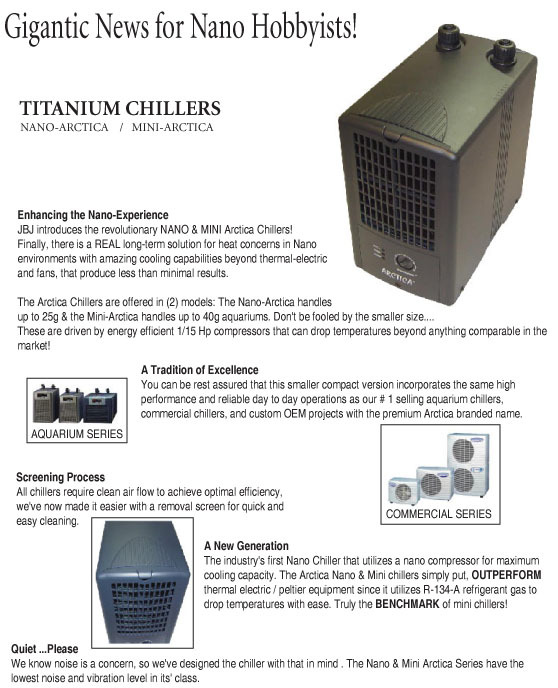 The Arctica-Titanium chiller is the standard in the United States and Asian markets. JBJ is proud to claim that the Arctica Chiller is the quietest and most reliable in the industry. From its Aquarium series to its Commercial series, JBJ offers a wide range of chillers to meet all your cooling requirements. New to the Arctica family are the Nano-Arctica and the Mini-Arctica. 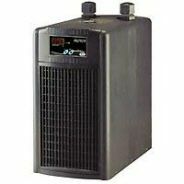 These units will fill the void of having a chiller for the popular Nano-Aquariums. The US market has seen an increasing demand for Nano aquariums. JBJ is the leading company to start this popular trend. The Nano-Cube is the staple when people ask for small desktop aquarium kits. The Nano-Cube Aquariums are the only tanks offered in the higher wattages, made to handle saltwater. The 12-gallon (48Watt) is perfect for desktops and kitchen countertops, while the 24-gallon (72Watt) is ideal for small areas where space is an issue. JBJ Aquarium Product recognizes the rapid changes in the aquarium hobby. And with its combination of research and development and marketing, the company has its finger on the pulse of the industry. Offering innovation at affordable prices makes JBJ Aquarium Products the perfect choice for hobbyists.